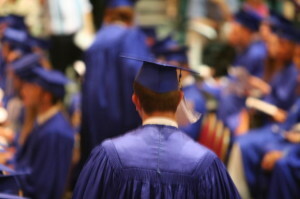 GREENVILLE, S.C. — A federal judge in South Carolina has partially upheld the practice of Christian prayers during high school graduation ceremonies. As previously reported, an anonymous couple contacted the American Humanist Association (AHA) in 2013 to complain that Mountain View Elementary School had held its graduation ceremony at the chapel on the campus of North Greenville University, a Christian institution in Traveler’s Rest. They also cited that prayers had been presented at the event. The prayers, according to reports, had been written by the children and were reviewed by school officials before being presented. In response to the complaint, AHA wrote to the Greenville School District, demanding that it change the location for future events and that it discontinue the presentation of prayers at school ceremonies. However, when the district refused, AHA filed a lawsuit in federal court, requesting an injunction in an attempt to force an end to the practice via court order. U.S. District Court Judge George Ross Anderson first heard the case, and reportedly scoffed at AHA’s request for an injunction against the Greenville School District, stating that it was “making a mountain out of a molehill.” The chapel aspect of the lawsuit was later dismissed, but the matter of graduation prayer remained before the court. In a ruling issued on Monday, U.S. District Judge Bruce Howe Hendricks ruled partly in favor of AHA, but did not ban Christian prayers at graduation altogether. While Hendricks opined that school-sponsored prayers are unconstitutional, she stated that “spontaneous” student prayer is allowable. The school district advised the court that it had taken the invocation out of the program after the suit was filed, but still allows student-initiated prayer. “The position of the defendant has no religious purpose or effect and does not improperly entangle the state with religion. Indeed, the new position gets the defendant out of that business entirely. And, yet it preserves the constitutional edicts of speech and free exercise for individual students, ” Hendricks wrote. AHA said that it is still unhappy about the arrangement as it does not believe that students should be able to present Christian prayers at all, whether official or voluntary. The organization plans to appeal. The Greenville County School District defended its stance following the ruling. “We remain confident of our position in maintaining an educational environment, including an awards program, in which individuals are treated with equal dignity and respect regardless of religion or faith,” it said in a statement.